CHECHESMITHNATION : North West Off To SPA With Mum. 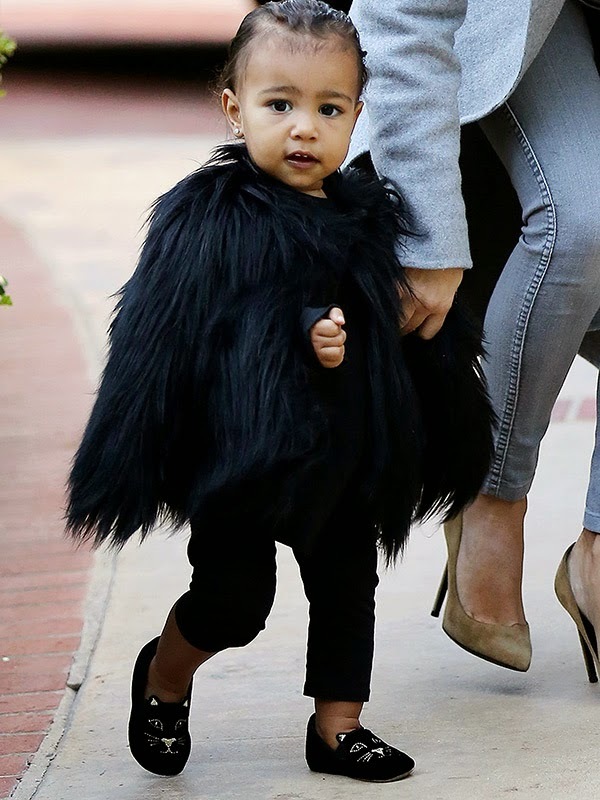 The celebrity kid wore this lovely ostrich feather cape for spa day off with mommy. This is a whole different level, and it’s all thanks to her swagger momma. 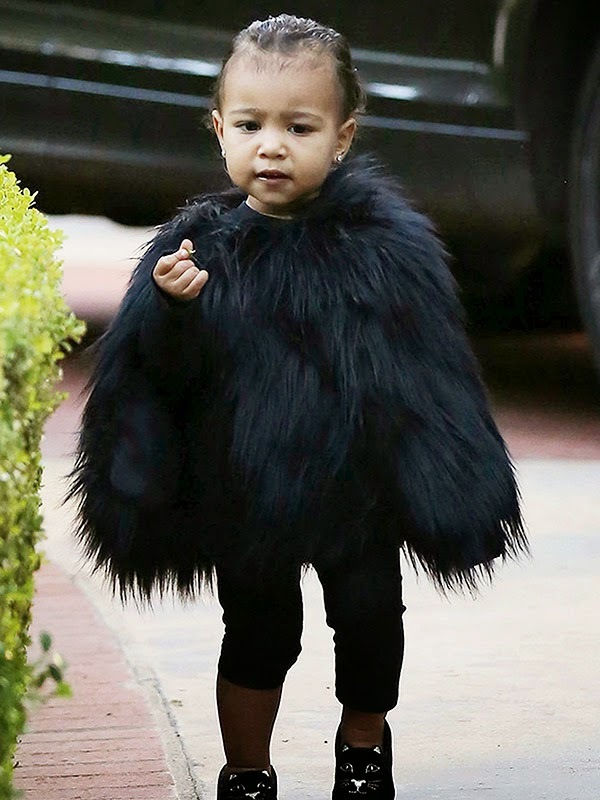 Nori is such a cutie, but I don’t understand taking a baby to a spa place...what is in it for her abeg? Or do they have kids section there?..Someplace like a play ground for kids to hang out while mothers get along? Hmmm, all well though, but I so love her style swagged cropped black leggings accompanied with the amazing jazzy ballerina flats...go baby!! !